Mr. Chancellor, Brandt Louie has contributed to his community in countless ways, but his influence on learning and research is particularly remarkable. After graduating from UBC with a Bachelor of Commerce degree in 1966, he embarked on a long and successful business career helping to develop his family’s business, HY Louie Company Ltd. and London Drugs, into one of this province’s largest and most respected companies. one with a noticeably strong commitment to post-secondary education, both in this province and beyond. In addition to serving as Chancellor of Simon Fraser University, he served on the Dean’s Council at the John F. Kennedy School of Government at Harvard, and as a member of Vancouver Community College’s Council of Governors. Mr. Louie has also had a long association with UBC, where in 1994 he established the Tong Louie Chair in Pharmacy Administration in honour of his father, a former UBC Board Member, who preceded his son in receiving an Honorary Degree from this university in 1990, in recognition of his own remarkable record of service. Both Mr. Louie and London Drugs provide wide-ranging support to the Faculty of Pharmaceutical Sciences and other UBC projects, including a Professorship in Obstetrics and Gynecology, which is making meaningful contributions to the lives of women and families in BC and the world. He has generously shared his time and business expertise with community organizations across the country: as co-chair of Variety Club’s Cash for Kids program, as a national trustee of Brain Canada, and as a Governor of the Vancouver Board of Trade and BC Business Council, to name only a few. 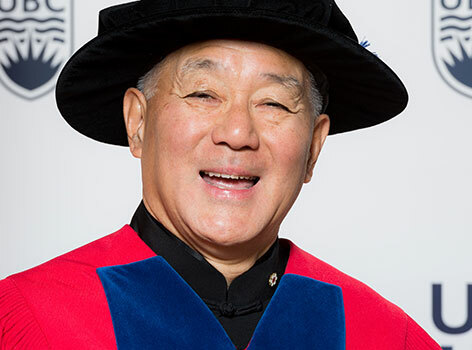 Mr. Chancellor, in recognition of his extraordinary contributions of community leadership and visionary support of learning and research, I ask you to confer the degree Doctor of Laws honoris causa, upon Brandt C. Louie.